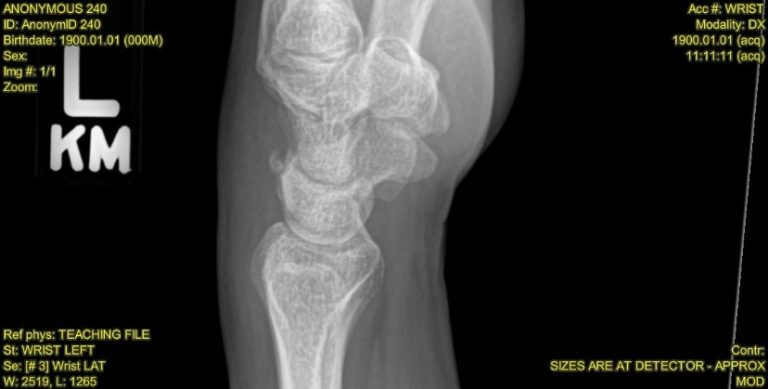 The patient is a 41-year-old woman who presents with wrist pain and swelling after falling on her outstretched hand in ulnar deviation. She says she stumbled stepping into the house while carrying groceries. View the image taken and consider your next steps, along with possible diagnoses.